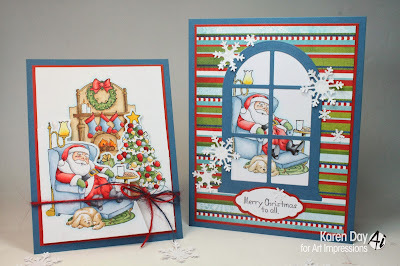 Art Impressions Blog: Challenge 120 - Fun Folds! Challenge 120 - Fun Folds! Hello Ai Fans! Welcome to a new challenge! First, let's get started with our winners from last week! Congratulations Sue! Our team loved your vibrant colors and awesome easel! Contact kate@artimpressions.com to claim your $50 prize pack! We also have two honorable mentions! 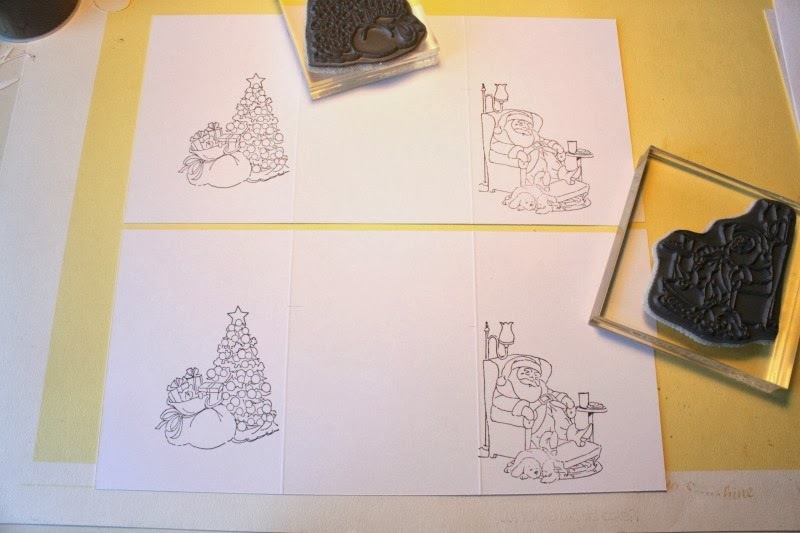 Contact kate@artimpressions for a free stamp set of your choice! This week, we're releasing our newest additions to our TryFolds line! In honor of our big launch, we're hosting a "Fun Folds" challenge! 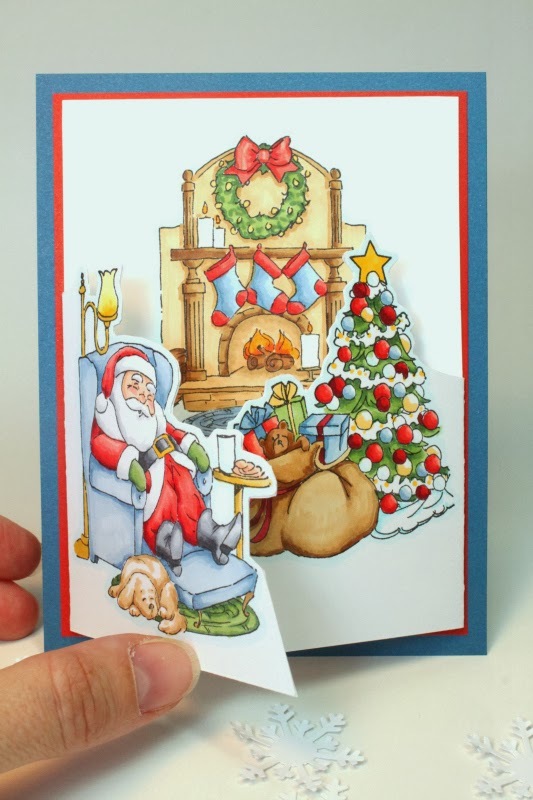 Any card that has a different fold style will work. 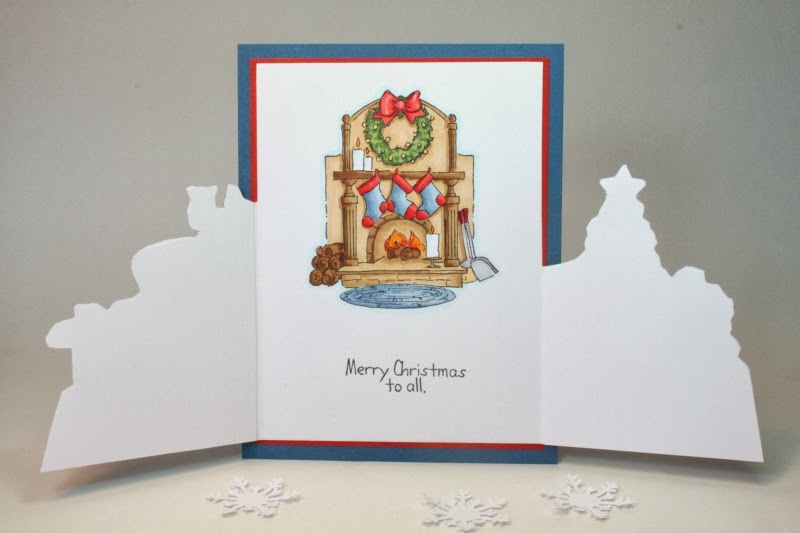 Whether from the card base (such an an easel, twisted, trifold, shutter, etc.) or on the card (pinwheels, rosettes, pop up pieces, etc. ), include a couple fun folds for an awesome new style! 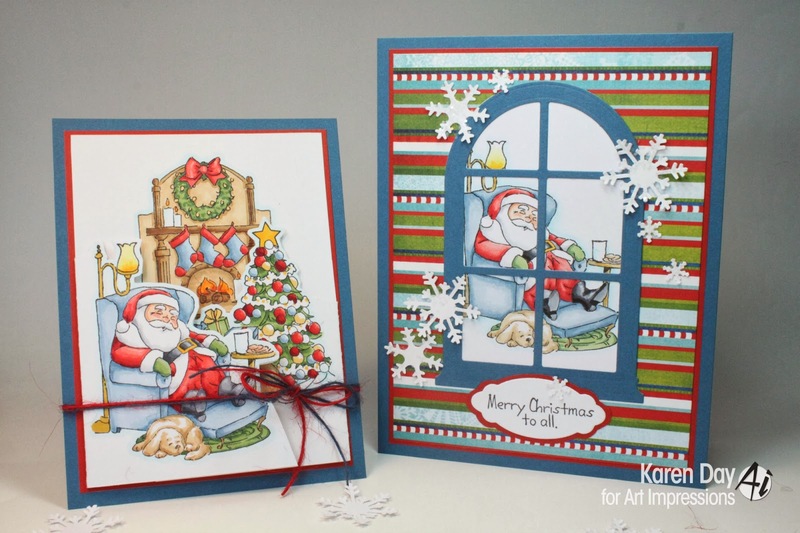 "It's Karen with you today, sharing two cards that I've made using the newly released "Sleepy Santa TF (sku#4341)". 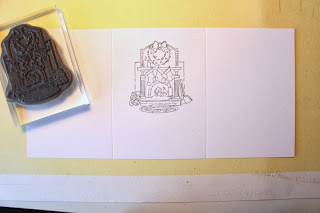 I've stamped the fireplace image in the middle section, about 1/2" down from the top. The tree and Santa are done on the backside of the paper, 1 3/4" and 2" down from the top - you might see my pencil marks that I used as a stamping guideline. Aren't these cards AMAZING! 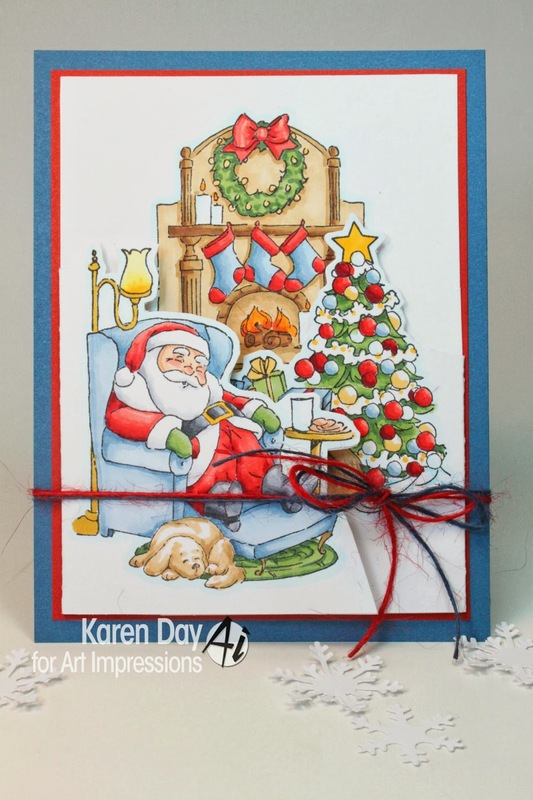 Thanks for sharing, Karen! Also, we have a new promotion at artimpressions.com! ✻ Make sure to get your link up by Wednesday, October 16 at 5:00 p.m. PST to enter your creations. Yippee! 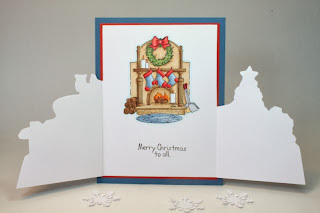 So excited to see my card as an Honorable Mention. Thanks ladies! A big congrats all around! 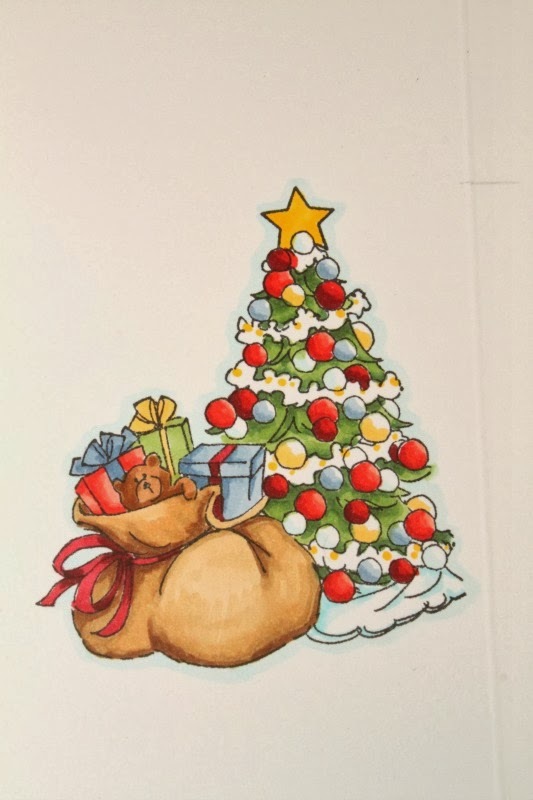 And, Karen - your coloring is over the moon! Thanks for the inspiration. WOw WOnderful tri-fold card !! I loved your coloring too ! 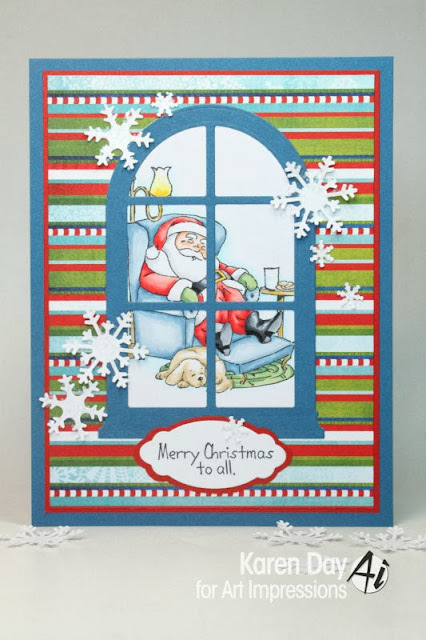 Karen, love your tri-fold Santa card. It captures the magic of Christmas! I always look forward to the wonderful inspiration here...excited to be honored on your blog today!!! 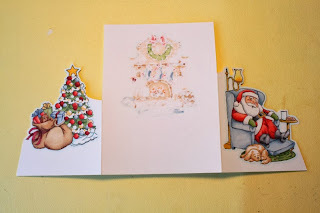 I am in love with all of these cards! Thanks so much for taking the time to show us!